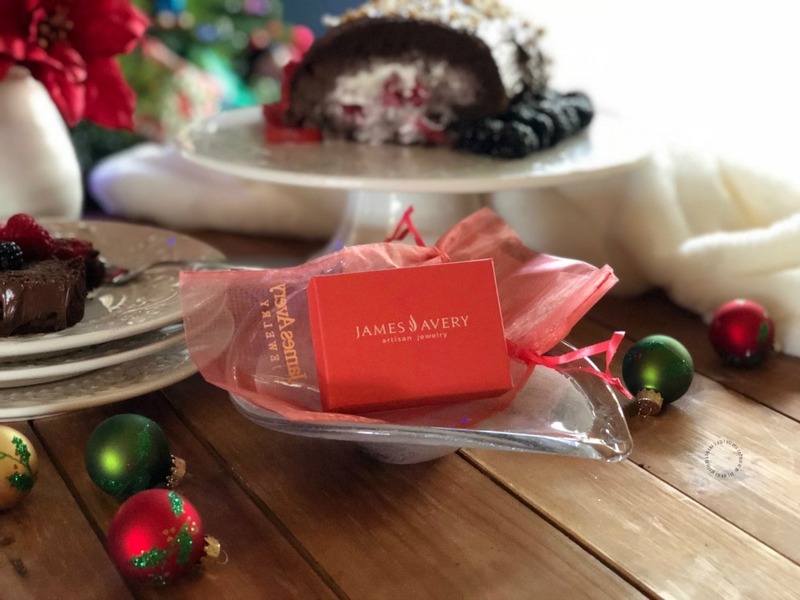 The recipe for the Chocolate Swiss Roll is a sponsored collaboration with James Avery Artisan Jewelry. All opinions are only mine. A Chocolate Swiss Roll with vanilla ice cream and berries is what my mom and I were used to bake together during Christmas time. My mom was a lover of good food and she enjoyed baking. 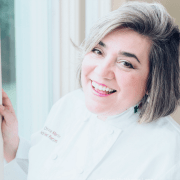 She was used to bake for us so many good desserts and even attended culinary school to perfect her craft. Watch the video and learn how to make this Chocolate Swiss Roll made easy! In Mexico, the Swiss Roll is known as Niño Envuelto. In Spain it is called Brazo de Gitano. My mom was used to make it in many different versions. I am not the best baker nor an expert as my mom but I do like to bring to life the family desserts that evoke so many sweet memories specially during the holidays. One of my treasures is my mom’s very own recipe book handwritten by her. 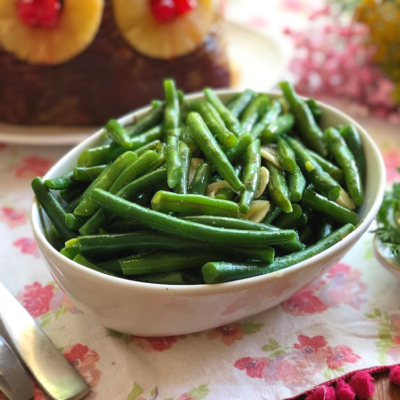 Many of the recipes I publish here are either inspired on those dishes or are the actual dishes and desserts she was used to cook for us at home. In my life there are four women that became the most important role models and inspiration for the person I am today. My Mamá Grande Carlota, Mamá Licha, Rosa Elena my mother and Minita, my great aunt that was like my mother when growing up and even in my adulthood. All of them live close to my heart and I keep them present by making homage to their special dishes and recipes. 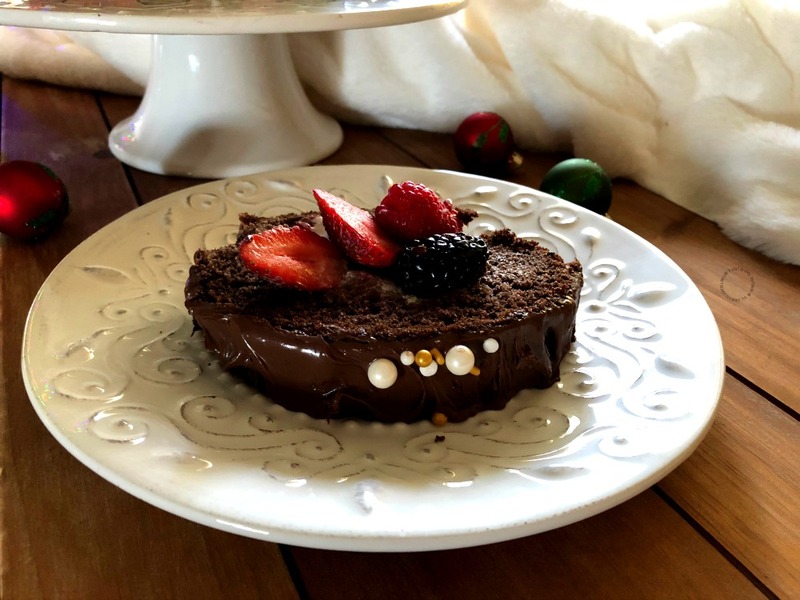 The Chocolate Swiss Roll recipe is a perfect example on how I can honor my heritage and my beloved that have departed by preparing a special sweet treat made with so much love. A lot of the tools I use to cook now were part of my grandmother’s and my mom’s kitchens. When I left Mexico to come and marry my husband the stand up mixer that once was at my grandma’s is now in my own kitchen. And the same thing happened to grandma’s pressure cooker where she was used to cook the beans. 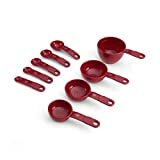 Now it is the gadget I use to continue the tradition and her legacy for good food. 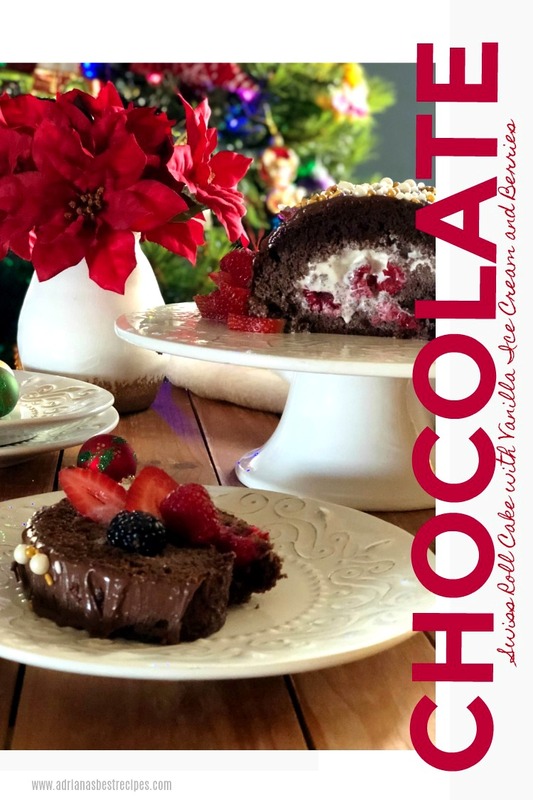 Aside from honoring my family making their special dishes and this Chocolate Swiss Roll cake, this year I wanted to have something very special be made. And that is how I found James Avery Artisan Jewelry. While I was browsing through the gallery of charms on their site I found a few that tell my story. I actually became teary eyed as many of the charms reminded me of my mom, my grandmother and my aunt Minita. The letter “A” for Alicia, the letter “E” for Rosa Elena, the letter “M” for Minita. The Virgin Guadalupe, part of my faith and my Mexican culture and a stand mixer that resembles my grandma’s very own stand mixer that was handed to my mom and when my mom passed away it was given to me. My mom passed away from leukemia and her favorite color was rose pink. The mother’s love finial charm represents very well my mom’s essence and spirit. And to make it more special I also eyed a heart shaped charm that has the legend “You are Always on my Mind“. The great thing is that James Avery Artisan Jewelry offers full service including laser engraving. I ordered a monogram using the three letters of my beloved on the back of that heart shaped charm. Wearing this bracelet helps me keeping the memories alive while I continue making homage to this important women in my life. 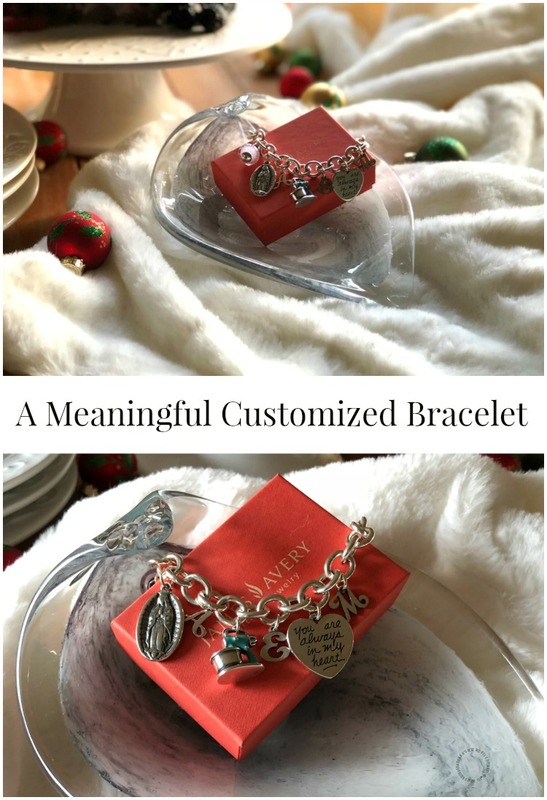 With James Avery Artisan Jewelry this Christmas will be one to remember as I will be wearing a custom jewelry piece that has so much meaning for me. We all have a family story to tell, I invite you to visit James Avery Artisan Jewelry. Click HERE for inspiring James Avery stories and the jewelry that helps tell them. 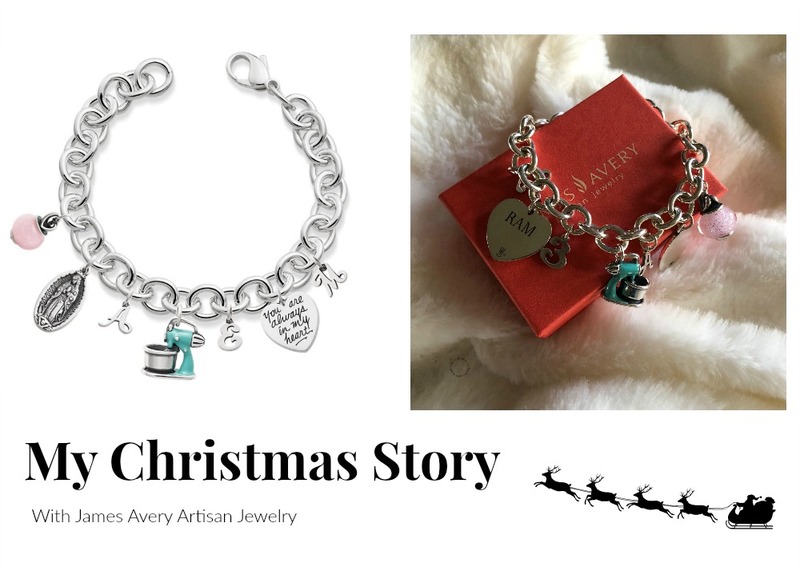 You can share your own stories with #MyJamesAvery and #ACharmedChristmas on social media for a chance to receive a piece of James Avery Jewelry to commemorate your special holiday memory. 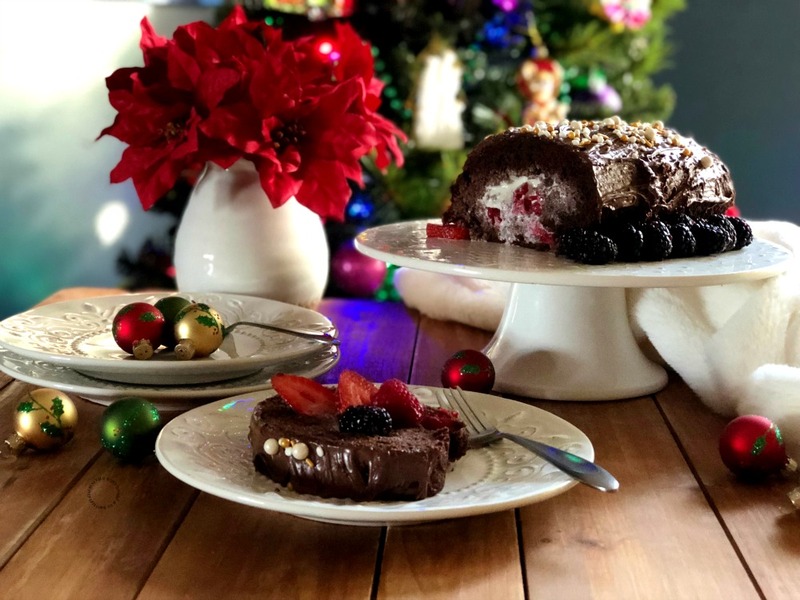 Start a new tradition by serving my mom’s favorite Chocolate Swiss Roll with vanilla ice cream and berries at your family table too. One bite and everyone will ask for this dessert not only during the holiday time. Now tell us, what’s your Christmas story? 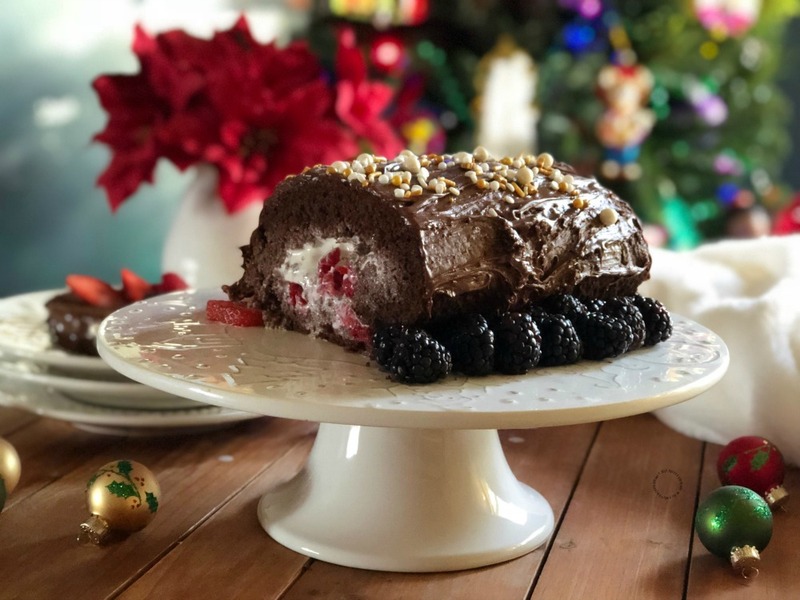 A Chocolate Swiss Roll made easy with cake mix and stuffed with vanilla ice cream and seasonal berries. Then covered with chocolate hazelnut spread and festive sprinkles. Heat the oven at 350 degrees Fahrenheit. Prepare the chocolate cake mix combining all the ingredients and mixing. Spray the silicone jelly mold with baking spray, pour the chocolate cake batter and remove bubbles. Bake the cake for 20-30 minutes. When ready takeout of the oven and cut the top and the edges. Roll using the silicone jelly mold and transfer to a damp cloth. Let it get cold. Unroll and stuff with vanilla ice cream and the raspberries. Roll again, wrap in parchment paper and keep in the freezer until ready to enjoy. Plate and cover with hazelnut chocolate spread. 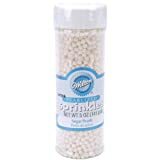 Decorate with sprinkles and add sliced strawberries and blackberries. You can separate the whites from the yolks and whip the whites separately. Fold into the batter. This will help achieve a sponge cake if desired. That will make it easier to roll. And avoid breakage. I mean, really, is there anything better than ice cream and chocolate cake?? 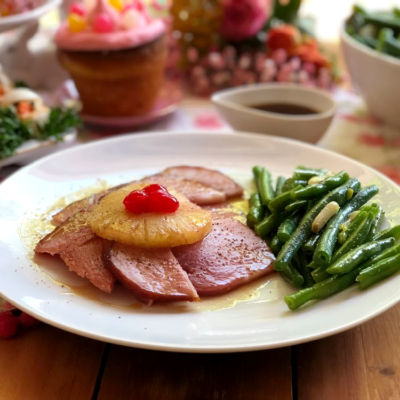 This recipe looks absolutely divine and so perfectly festive for the holiday season. Might have to try my hand at baking now! I don’t know what is sweeter – that delicious looking swiss cake recipe – or the precious bracelet. I’m sure that will become a keepsake one day. Such an impressive and beautiful dessert. I’ve never made a rolled cake, they kind of scare me. I love hazelnut chocolate spread. Yum!!! This looks so delicious! You had me at chocolate! I needed another dessert idea for my holiday party so I need to try and make this! I love that bracelet too! OMG. This looks so yummy. My waistline is screaming for mercy, but I cannot hear anything. I love a good Swiss roll! Such a festive holiday dessert! Ice cream and chocolate cake…It’s hard to go wrong with that. Such a great cake for the holidays. Looks delicious. How special! I love meaningful items like this. Recently, the lady that lived in my 1926 home came to introduce herself. She grew up as a little girl in that house during the 1940’s and 50’s. We have such a great time listening to all her stories about life in the house. On her most recent trip over last week, she brought us a small Christmas ornament that was hanging on their tree when they celebrated Christmas in the very same place. That small plastic ornament has so much value to me because of the meaning behind it. These small items are really the biggest treasures! Thank you for your kind comment you made me teary eyed. Indeed the small things sometimes become our biggest treasures, merry Christmas Tiffany. This sounds like a delicious Christmas tradition! I’ve never made a chocolate Swiss roll, but this makes me want to try! This looks and sounds so dang good! There’s nothing like making recipes that a loved one used to make especially this season. It’s really a wonderful way to honor their memory. This cake looks amazing and that bracelet is really pretty! 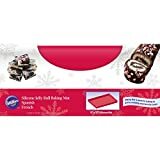 I really love baking, especially this Holiday season and I think this chocolate swiss roll with ice cream looks so delicious and really tempting. I will definitely give this a try. Wow, this is so delicious. I would love to make something like this. This would be perfect this coming Christmas Eve. Oh my gosh. That looks so very good. I could really go for a sugar high right now. Wow – that looks decadent and delicious!! 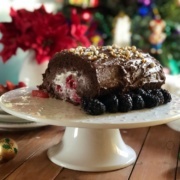 I love this gooey chocolate swiss roll for our holiday gatherings. Thanks for the idea, I know what to bring to my potluck this weekend. Ah, such decadence! The cake looks so inviting, especially with the berries alongside to add colour. I wish I could just reach in and grab a slice! This looks perfect for the holiday season, love that you topped it with a hazelnut spread! I absolutely love chocolate and chocolate desserts. What I like most about this recipe are the berries, it makes it so much more fresh and tasty in my opinion. I love your charms on the bracelet. Oh man doesn’t that look delicious!! I looove chocolate. It is my must-have sweet tooth item. This looks like a chocolate lovers dream. Perfect dessert for entertaining. Great for all the holiday celebrations that are around the corner. What a festive dessert and perfect for the upcoming holidays. James Avery is also a classic when it comes to the perfect Christmas gift. Firstly that chocolate Swiss roll looks amazing. 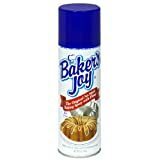 I think it would be a great dessert during the Christmas season. I love the bracelet with the personalized charms too! So lovely that you have your mum’s recipe book and kitchen equipment from your grandma! 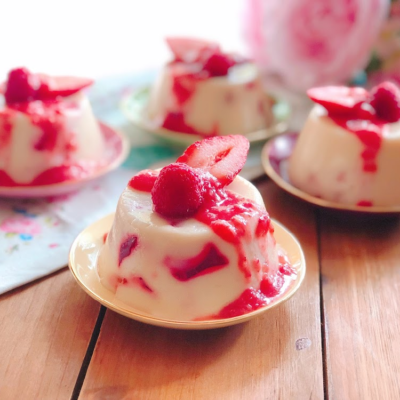 What an easy and delicious looking dessert! 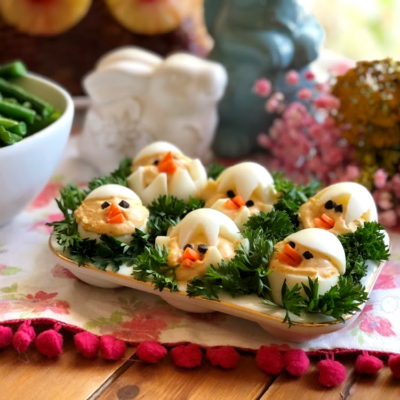 I love to read about your family and family memories, sounds like you had some fantastic ladies to teach you the love for food! Oh, anything with chocolate cake and ice cream is a winner! I love the added berries — so festive! Can’t wait to try this. It’s been a while since I last tried a Swiss Roll. In fact, I think it was a year or two when I traveled with my friend a bit and tried a few really good ones. Anyway, your recipe reminded me of those times and kind of motivated me to try and make it myself. Thank you for the chocolate version! Mom’s recipes are always the best…especially when they include chocolate. Yum! Swiss Rolls are one of my favorite desserts! I cannot wait to try this recipe. Thank you for sharing! This looks absolutely gorgeous and I am sure that it tastes even better than it looks! What a lovely story to pass along! 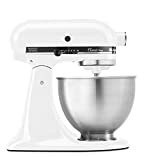 And that mixer must be a very nice one, considering how old it must be today. Love the mixer charm too, super cute. And this cake? I love anything with chocolate and this is my fave. What a showstopping dessert for the holiday table! 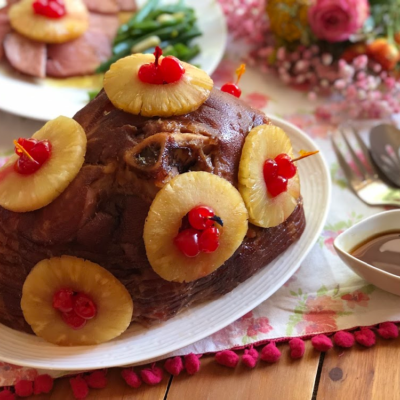 I know my whole family would love to see and eat this at Christmas time! It’s so lovely that your cooking inspiration comes from your family, I think that is the best thing. I hope one day my kids cook my recipes too. I love your cake it looks perfect and I am sure it tastes great too.